Certified Pre-Owned 24 Mo. 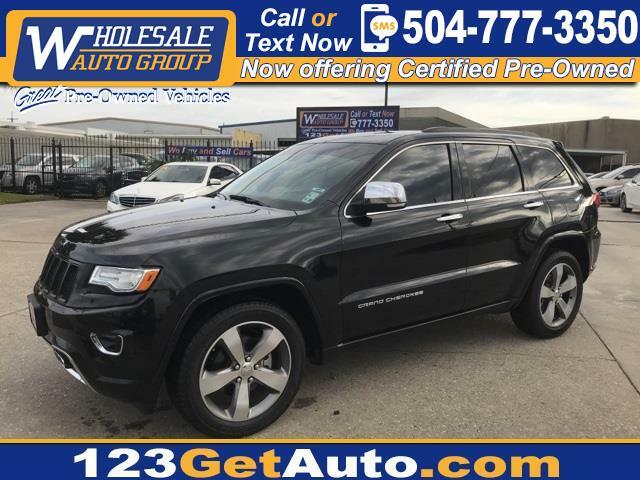 24,000 Warranty, One owner, Accident free vehicle history report, Completely inspected and reconditioned, Navigation, Leather, Bluetooth, Hands-Free, Heated Seats, Power Sunroof/Moonroof, Grand Cherokee Overland, 4D Sport Utility. Priced below KBB Fair Purchase Price! Odometer is 8694 miles below market average!